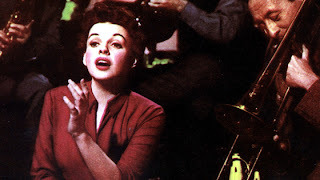 Judy Garland's grand comeback movie and an inside look at the studio system golden era, A Star Is Born is an engrossing if over-long near-classic. With her powerfully emotional singing and acting, Garland dominates the movie as the singer on the way to stardom, but James Mason also gives an affecting performance as the drunken star actor who helps to launch her career. Esther Blodgett (Garland) has worked her way from humble beginnings to become a singer with a respected jazz band. 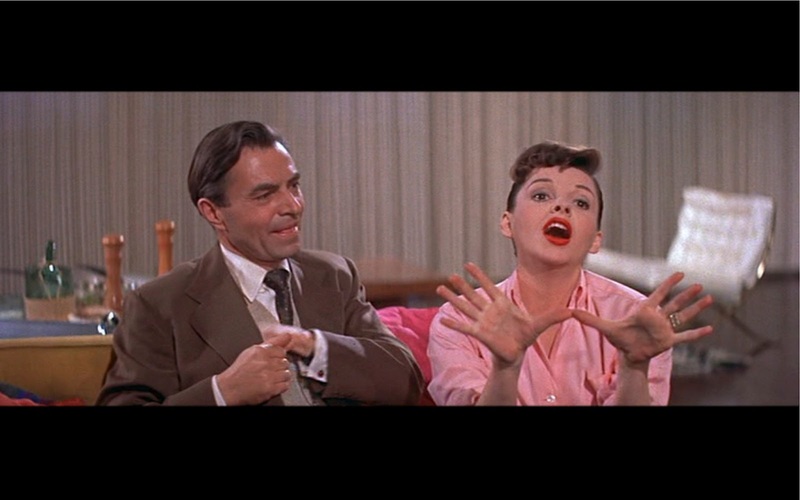 She meets Norman Maine (James Mason), a popular movie star who is now perpetually drunk and embarking on a precipitous career decline. The constant interventions of studio publicist Matt Libby (Jack Carson) are needed to keep Norman from utterly embarrassing himself. Norman hears Esther sing and inspires her to aim for stardom. She takes his advice, leaves the band, and joins the studio system as a budding starlet. Norman brings her to the attention of studio boss Oliver Niles (Charles Bickford), and Esther's movie career takes off. She marries Norman, who starts to find new roles harder to come by. With Esther quickly establishing a large fan base and finding adulation at every turn, Norman hits rock bottom and becomes an outright drunk. Esther is torn between the requirements of her career and caring for the man who believed in her. Garland's first film in four years, and her first since leaving MGM, is a troubled triumph. 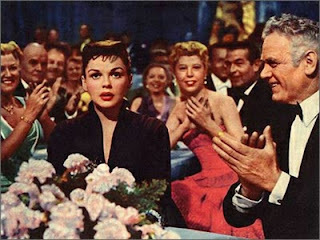 Directed by George Cukor, A Star Is Born was his first colour production and Warner Bros.' first CinemaScope film. It is a grand, colourful and energetic experience, a genuine drama, true romance and potent musical rolled into one, finding elements of memorable passion and tragedy. While the story of one star on a breathtaking rise and another in a steep descent meeting in a fortuitous romance is compelling, A Star Is Born is sometimes too much of a Garland commercial, constructed by Warner Bros. as star ahead of film. To a point it is deserved positioning, but on a couple of key occasions story momentum is foolishly sacrificed to give Garland yet another song and dance number. Responding to exhibitor concerns about the long running length, Warner Bros. initially butchered the movie by editing out 30 minutes of good scenes and keeping in much of the bloat. Cukor was horrified and all but disowned the movie. With the restored version, complete with some still images filling in for eternally lost footage, clocking in at just under three hours, the flab is unfortunately prominent. 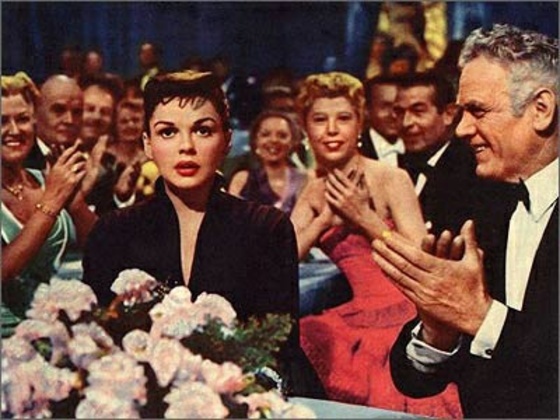 The worst excess is the Born In A Trunk sequence of musical song and dance numbers, a prolonged movie within a movie that occupies 20 minutes at the heart of the film, and descends into a laborious retrospective of Esther / Judy's humble beginnings, bringing the dramatic story of A Star Is Born to a screeching halt. In another sequence Esther in her living room recreates an entire international medley of dances for Norman, presumably to demonstrate the big scene in her latest film, but it's just another shallow excuse to showcase Garland at the expense of reasonable patience. Better are some of the sharper highlights that are more properly integrated into the narrative, Garland's spirited rendition of The Man That Got Away in a closed jazz club under Mason's watchful gaze marking her return to form with a large exclamation mark. Given the context, Mason is excellent alongside Garland, bringing to life Norman Maine as a mostly happy drunk, free falling from the top of the heap with a smile on his face as all he worked for passes by in a blur, Norman content that he launched the career of Esther with one of his final lucid acts. Jack Carson and Charles Bickford fill in the details of a studio system obsessed with manufacturing and promoting talent, interested in the well-being of actors and actresses only insofar as the stars deliver the goods to the studio's coffers. Bickford's studio boss Oliver Niles does, however, demonstrate some humanity towards Maine in the former star's darkest hours. A Star Is Born ends with melancholy sacrifice, two people rising above careers and exhibiting pure caring for each other. One star is born, one star falls out of the sky, but the essence of two souls meant for each other transcends life's challenges.